Treplus properties are designed to be connected to their surrounding communities, and they stand out among Columbus apartments. For many members of the baby boomer generation, it may be a dramatic change to consider becoming a renter, after years of home ownership. 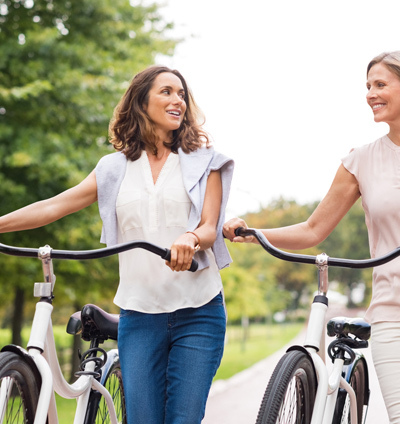 That is why Treplus communities are designed to be as welcoming, walkable and connected as a hometown neighborhood, and the apartment homes to be as solid and private as single-family homes, yet with built-in community. Treplus apartment complexes are located in the best Columbus suburbs for quality of life. Residents have all the amenities that they relied upon in their single-family homes, but none of the maintenance. Single-story living, attached garages, fully equipped gourmet kitchens and ample storage including walk-in closets are part of the design. Treplus communities are located in Central Ohio’s most vibrant suburban areas, with ample greenspace surrounding them. All are situated near parks, bicycle paths and recreational facilities such as playing fields, metro parks, and town centers. Each community has easy access to nearby walking paths, enabling residents to move from the Commons to the surrounding community. Everything at Treplus Communities is beautifully landscaped and easily becomes part of celebrating life. The Commons area of each community is the center of most activities. It becomes, in essence, an extension of residents' own living space, if they so choose. The Commons areas of our communities have beautifully appointed clubhouses with everything residents need for the perfect event or special gathering. Additionally, the Commons as an outdoor terrace with fire pit and barbecue area. Every community has a complete fitness studio for cardio and strength training and other flex fitness spaces, in addition to walking paths. The clubhouse, terrace and fitness spaces are all designed for optimal enjoyment. Residents, their friends and families can come together in the Commons area to enjoy an evening drink or meal, celebrate special events or participate in some of the many programs Treplus Communities offers. Stretch out in a yoga or exercise class, plan your next trip or participate in an educational seminar. The Commons area of each Treplus community can be enjoyed in so many ways....to celebrate birthdays, enjoy family holidays, learn about 55+ financial planning or to get a great workout. Our residents enjoy life to the fullest at Treplus communities, without the expense of maintenance, property taxes, and upkeep associated with home ownership. Come make a Treplus Community your own. Our responsive management services include a community ambassador and program facilitator. All of these people are at Treplus Communities to help our residents get involved, and to create events that suit their own interests. Residents at Treplus Communities can get involved in yoga classes, card parties, bicycle touring clubs, book groups, tailgate parties, happy hours, and travel sharing groups, just to name a few activities happening in and around the Commons. As an extension of residents' living space, the Commons is here when residents want to relax, celebrate and participate! Why are you contacting us today?